If you’re anything like me, then you are a sucker for a Hallmark or Lifetime holiday movie. (I even wrote a loving satire of one.) In the past, I could get stuck in a cycle of binge-watching these films, but over the last few year, the sheer absence of any signs of queerness have made me rethink how I use my viewership. Recently Hallmark announced that it would have forty holiday films this year. Not a single LGBTQ lead or supporting character in sight. Even if you use the law of averages, it’s pretty clear that queer characters and romance are simply not a priority. 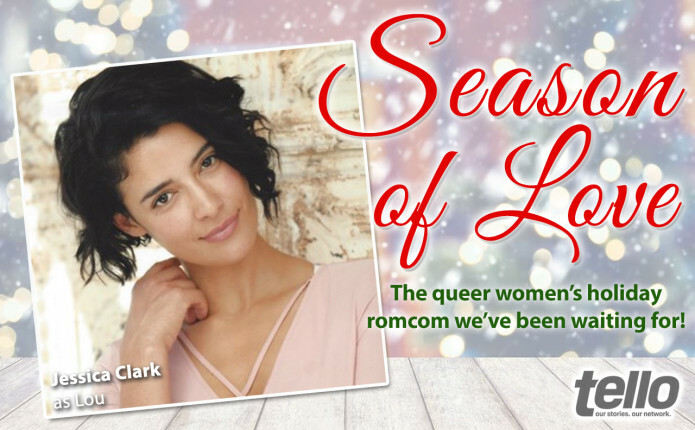 So, what’s a holiday movie loving lesbian to do? Well, a few months ago, Tello Films, a streaming service and production company that makes content for queer women, held a writing competition for a holiday film. Three writers were chosen, and right now, Tello is working on getting the first of these films made. 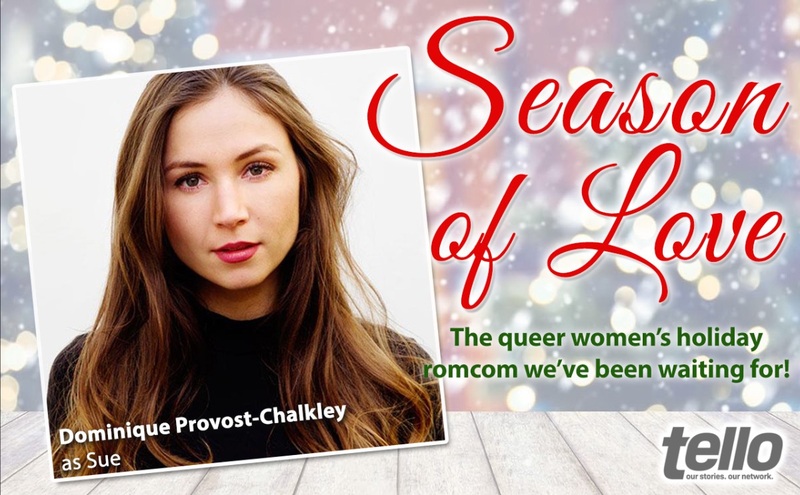 Season of Love, by Katherine Trammell, is a queer Love Actually of sorts. Here’s a little description for you. 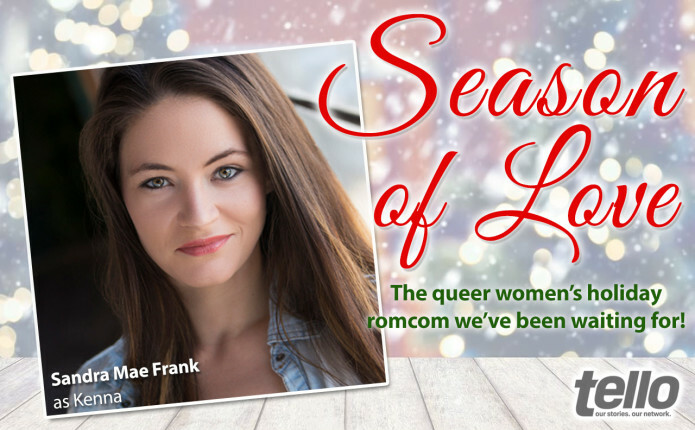 “Season of Love is a lighthearted rom-com featuring a large ensemble cast of diverse women and their connected love lives during the hectic holiday period just before Christmas through the New Year who discover love truly is the best gift of all. 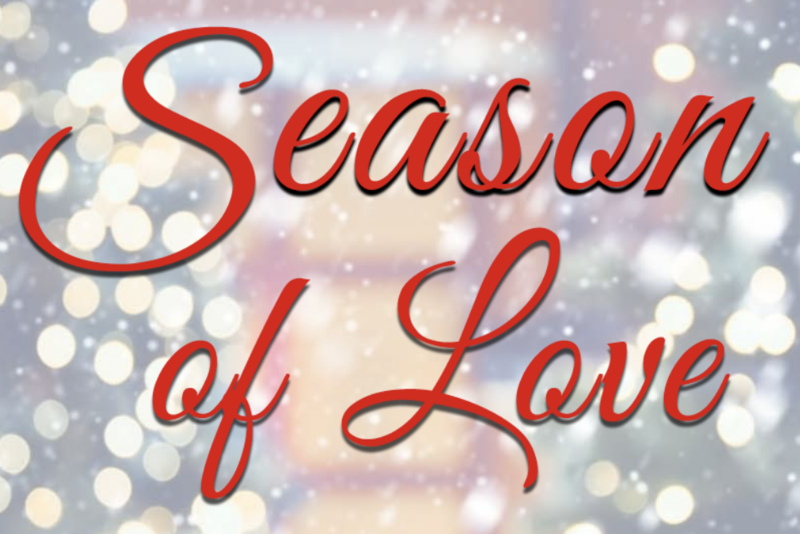 Meet IRIS, MARDOU, LOU, KENNA, JANEY, and SUE as they navigate the busy holiday season of love. Iris, a jilted bride, is comforted by the groom’s Best (wo)Man, Mardou, as Iris realizes the perfect plan she mapped out for her life may not be what she actually needs or wants. Iris’s Maid-of-Honor, Lou, juggles worrying about Iris while frantically trying to meet her New Year deadline to open her own brewery business, Bramble Brewhouse, which is held at risk when she realizes her brew tanks aren’t even functional without the help of local welder, Kenna…who just so happens to be her very aggravating upstairs neighbor. They had me at light-hearted romcom with a cast of diverse women. 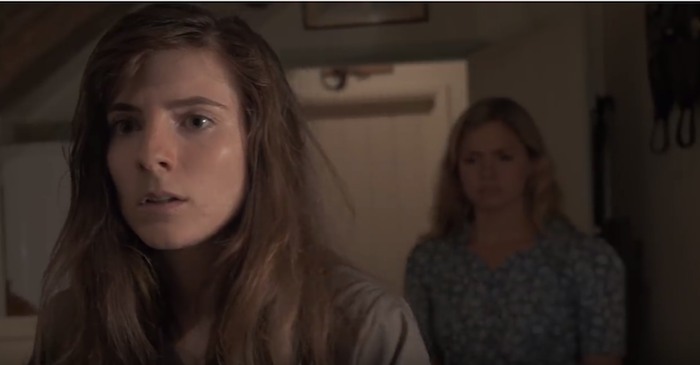 The film will star Dominique Provost-Chalkley (Wynonna Earp) as Sue, Emily Goss (Snapshots) as Iris, Jessica Clark (True Blood, A Perfect Ending) as Lou, and Sandra Mae Frank (Deaf West Theatre’s Spring Awakening) as Kenna. 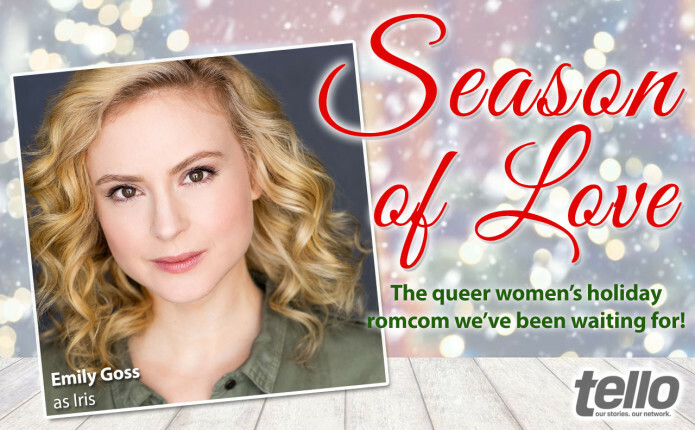 Season of Love is currently crowdfunding and are halfway to reaching their goal with just a few days left. If you have a Holiday move habit like I do and yearn to see one that reflects our community, then you may want to consider donating.